Quick overview This stimulating introduction to laughter in theatre and performance examines laughter among actors, among audience, and the interaction between the two. This stimulating introduction to laughter in theatre and performance examines laughter among actors, among audience, and the interaction between the two. 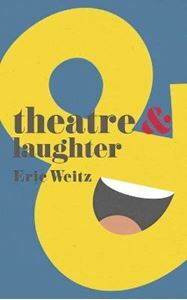 Exploring the many uses and effects of laughter in theatre, Eric Weitz considers laughter as a tool of political resonance, as social commentary, and as one of the oldest rhetorical devices.